The last Financial and economic crisis affected everyone, everywhere. But has something changed, or is the world moving towards another darkness? And what will cause it? In the fast-paced and thought-provoking thriller Zero Alternative, Luca Pesaro delves deep into the dark heart of Finance. His protagonist Scott Walker is a successful trader whose world suddenly implodes when murder – and the chase for a software that could remake the world – mix with greed, violence and the unspeakable secrets of money and politics. Pesaro is a former derivatives trader at international banks, and he has seen first-hand the rise of new technologies and the search for secrets and information that shouldn’t be available if laws were upheld. His writing thrills, exploring how the world may often be shaped by decision-makers beyond our knowledge and understanding, who bend and break countries and economies for their skewed world-views. Zero Alternative is a terrifying ride through the murky world of international finance and its impacts, from money-laundering to crime syndicates to cyber-terror and the inexorable rise of weird forms of artificial intelligence that are already changing our world. As Scott Walker will have to learn and search deep within himself to survive hackers, killers and billionaires, the reader will learn how nothing is safe – neither your money, nor your country. Not even your life. The last crisis was shattering, but the world has only appeared to move on. Powerful interests and lobbies still shape the destiny of nations and peoples, the safeguards are obsolete before they’re even thought of. Finance is a black hole ready to swallow people and countries before spitting them out rich, or broken. Or both. 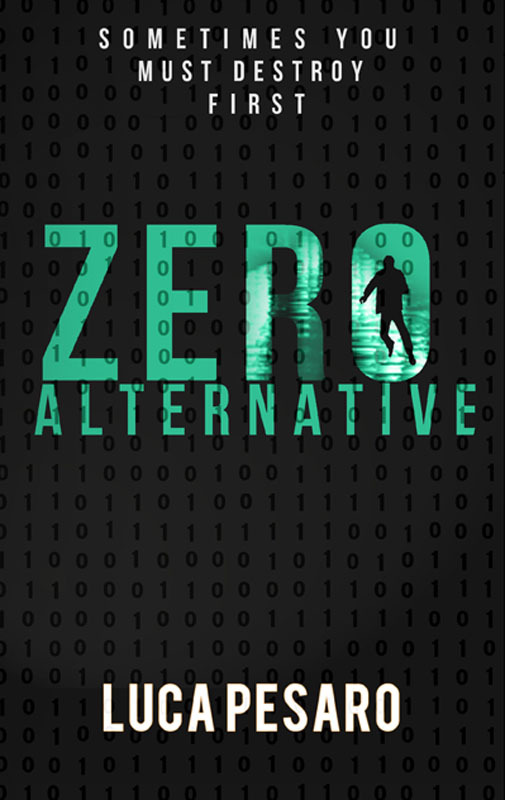 Zero Alternative is fiction – fun, fast paced and full of twists and unexpected journeys. But it’s also a mirror of a possible future that’s being shaped as we go about our lives, without realising the tidal waves that are breaking towards shore. It draws heavily from current events and known-unknowns, from crisis past and present. You will be entertained, and scared, and maybe made to think while having fun. And you will never look at a newspaper page quite the same way.